Nothing could be further than the truth, of course. Thanks to the Panama Canal, this has long been a destination for international business. So Panama has always focused more on its business infrastructure than on luring vacationers. Here, everything from the roads to the fiber optics is developed and rock solid. You can get reliable, high-speed Internet nearly anywhere. I work out of my home, and I never have to worry about staying connected. I have a wireless Internet connection strong enough to power two computers and two tablets (and possibly more). It costs me about $25 a month. Your banker and Panama attorney will likely speak English and have lots of experience dealing with international clients. The government is business-friendly and foreigners are accorded much the same rights as locals. And if you plan to offer “professional services”…like business consulting or customer service training…you may not even need to set up a corporation or get any kind of local permit or license. There are plenty of benefits for big business…Special Economic Areas with added tax incentives, a strategic location, logistics infrastructure, and so on. 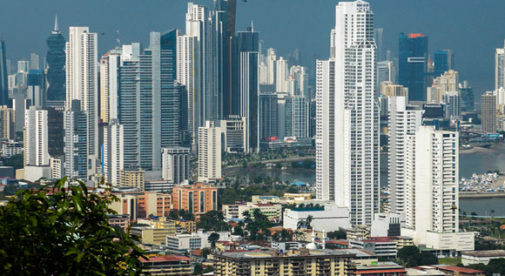 It’s why so many of the world’s biggest multinationals—companies like Dell, Caterpillar, and 3M—chose Panama for their regional headquarters. But Panama makes perfect sense for small, cottage enterprises, too. New expat residents get inspired by how easy it is. Often, these are people who had planned to take it easy and retire. But instead, they end up spotting a niche or seizing an opportunity to supplement their income. Expat entrepreneur Eric Theise saw an opportunity to open a casual little bar. A premises became available near his Panama City home, and Mojitos sin Mojitos was born. He had no bartending experience…so why did he take the plunge? It wasn’t a huge financial risk. North Carolina native Elizabeth Worley turned her 11-acre farm in the Chiriqui highlands into a moneymaker. Today, Finca Luz, Cloud Forest Coffee & Medicinal Plant Farm offers tours and sells products—coffee, skin care products, herbal tinctures—made right on the farm. From a business perspective, it wasn’t all that hard to do. “Panama is a great place with excellent infrastructure, but one of the greatest things about it is that it’s still very much a place of opportunity, particularly if you have a special expertise, an entrepreneurial idea, or are looking for niches to fill,” says Elizabeth. In particular, the government has made it easy to start a corporation relatively cheaply and quickly as compared to other countries. “And these days it is easier than ever,” she says. Expat-run businesses in Panama run the gamut…people bake and sell cakes and chocolate, grow and export Panamanian coffee, teach gourmet cooking classes out of their kitchens, start new community websites…the list goes on. Spend a bit of time here, and you’ll get to thinking you can start a little something, too. And you’ll be absolutely right.